Motor Insurance also as known as Vehicle Insurance, Car Insurance or GAP Insurance is Policy purchased for Private Cars,Commercial Vehicles, Tracks, motorcycles and Scooters , and other road Vehicles. It primary use to provide financial protection against damage and/ or bodily injury resulting from traffic collisions and against liability that could also arise there from the specific terms of Vehicle insurance very with legal regulation in region. To a lesser degree vehicle insurance may additionally offer financial protection against theft of the vehicle and possibly damage to the vehicle,sustained from thing other than traffic collisions. Why insurance is mandatory for Motor (Car) vehicles ? It is necessary to have some knowledge of Motor Vehicles Act passed in 1939 and amended in 1988 and 1994. 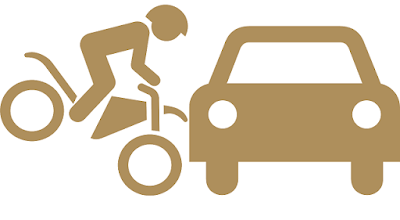 The insurance of motor vehicles against damage is not made compulsory, but the insurance of third party liability arising out of use of motor vehicles in public places is made compulsory. No motor vehicle can ply in a public place with out such insurance. 4. liability arising under workmen's Compensation Act 1923 in respect of death or bodily injury. Now a days buy a Motor vehicle Insurance or renewed your Car Insurance ,Two Wheeler, any private or commercial Vehicle very easy through online. lot of website are available to buy motor Vehicle insurance or renewed existing motor vehicle online. Here provide Best websites to compare the premium rates between various companies. Below companies are best companies to provide buy motor vehicle insurance or renewed your any motor vehicle insurance online. 1. National Insurance Company Limited (NICL) : is a state owned general insurance company in india. The Company headquarter at Kolkata was incorporated on 6th December 1906 . NIC stands tall as oldest insurance company in India and the only PSU non insurance company headquarter in the Eastern part of the Country. NIC has strength of more than 15,000 skilled human assets 1340 offices including 373 Business Centers pan India. for more information about National Insurance company logon to www.niconline.in website. 2. Policy Bazaar : http://www.policybazaar.com/ is a India's leading online insurance comparison portal that has - Since its inception in june , 2008 - earned for the itself the trust and goodwill of over 5,000,000 customer seeking both life and non - life insurance.compare online insurance policies offered by various insurers of India. Get instant insurance quotes and buy insurance plans Car ,life, health and travel in India. 3. ICICI Lombard : ICICI Lombard GIC Ltd. is a joint venture between ICICI Bank limited india's second largest bank with total assets of over USD 99 billion at March 31,2014. ICICI Lombard general insurance ltd. is one of the leading private sectors general insurance companies in india with a Gross written premium ( GWP) rate of 71.34 billion for the year ended March 31 2014. The company issued over 11.22 million policies and sattled over 6.44 million claims as on march 31,2014. for more information about ICICI Lombard logon to https://www.icicilombard.com website. 7. Bharti AXA General Insurance Company Limited : It is a joint venture between Bharti Enterprises leading Indian Business Groups and AXA a world leading financial products The joint Venture Company has a 74% shake from Bharti and 26% shake of the AXA groups. Bharti AXaA General Insurance Company has been offered Car Insurance, Two wheeler, health, home, travel insurance, personal accident ,etc. more information about Bharti AXA logon to http://www.bharti-axagi.co.in/ . 9. Policy Boss : http://www.policyboss.com/ is lunched with the objective of providing competitive insurance premium to customer while making sure they relish ample benefits Policyboss.com is operated and managed by Land mark insurance Brokers pvt ltd. Is offer Car Insurance, Health Insurance, Personal Accidents,Home Insurance, Travel Insurance. . Thanks for sharing such informative articles. i enjoyed reading this blog. I am inspired with your post writing style & how continuously you describe this topic. After reading your post, thanks for taking the time to discuss this, I feel happy about it and I love learning more about this topic. Great post, thanks for lets us know the major insurance company details. Really excellent information, keep on updating. This information is impressive,I am inspired with your post writing style & how continuously you describe this topic.I feel happy about it and I love learning more about this topic.